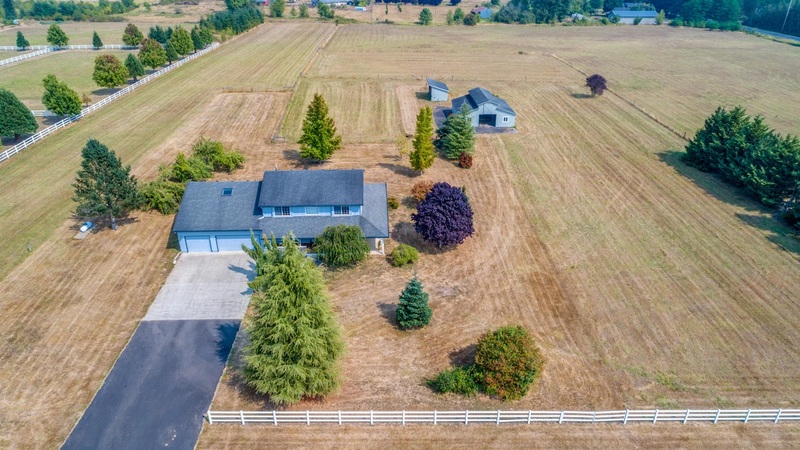 Wonderful two story home on 5.71 Acres with a barn! Spacious kitchen with island, hardwood floors, new counters and mosaic backsplash. Master bedroom with jetted tub, walk in closet and new shower. 4 large bedrooms plus bonus room. Beautiful wrap around porch, RV Parking and 4 car tandem garage with rear garage door and hot water! Great horse property with flat acreage, a 36x36 barn and 12x24 lean-to. OPEN HOUSE AUG. 26 1-3pm.